A question I often get asked is how to keep bananas from turning brown? 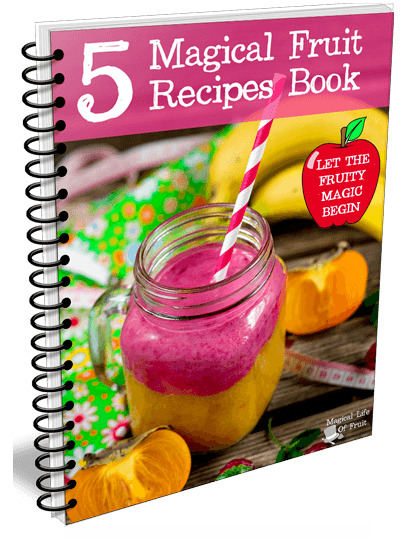 I share fascinating fruit facts, practical fruit demonstrations, and mouth-watering fruit recipes. I also bust some myths surrounding fruit so I can inspire you to start eating more fruit in your diet so you can experience the energy, happiness and a lean, strong body that WILL come naturally to you when you start eating natural foods. You know what it’s like when suddenly you’re hungry or you’ve decided today is the day to be healthy, or you need a quick pick me up as you’re walking out of the door? You know you bought bananas recently, but when you reach for one, you find it’s all black, swarming with flies and only good for the compost bin. I know, I’ve been there myself! 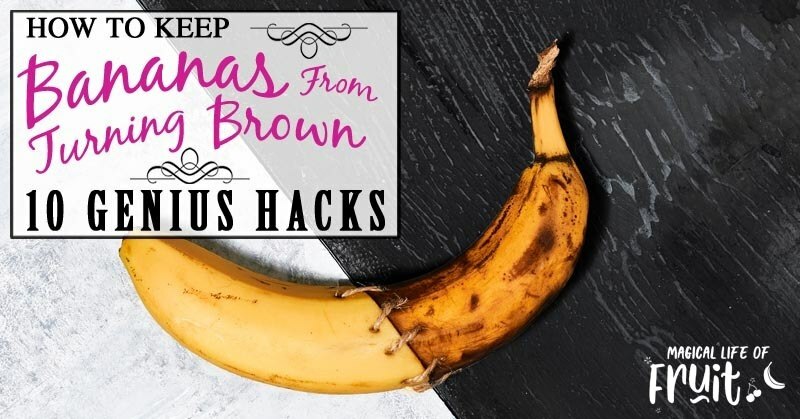 But thankfully I found 10 genius hacks to keep my bananas from turning brown. And today I’m sharing them with you! Wrap the stems in plastic wrap . The main way in which bananas ripen is by releasing gasses from the stems. So if you cover up the stems, you’re able to slow down the ripening process. Keep your bananas separate from all other fruits including other ripe bananas. Fruits let off ethylene gas when they are ripening, so keeping ripe fruit with unripe fruit will cause the unripe fruit to ripen more quickly. Unwrap your bananas from plastic bags and place them in the coldest part of a room (not the fridge). Heat from a bag or from a heated room causes bananas to ripen much more quickly. Buy green bananas. 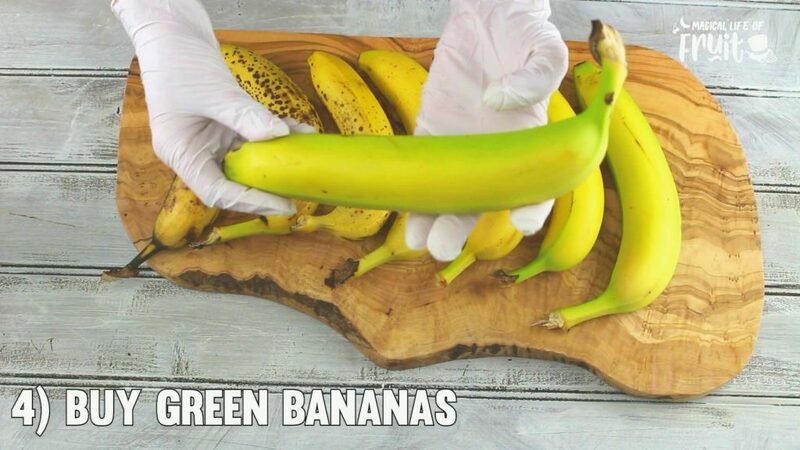 If you want your bananas to last longer, buy them greener in the first place. Divide your bananas up. Bananas ripen faster when you leave them in a bunch together. 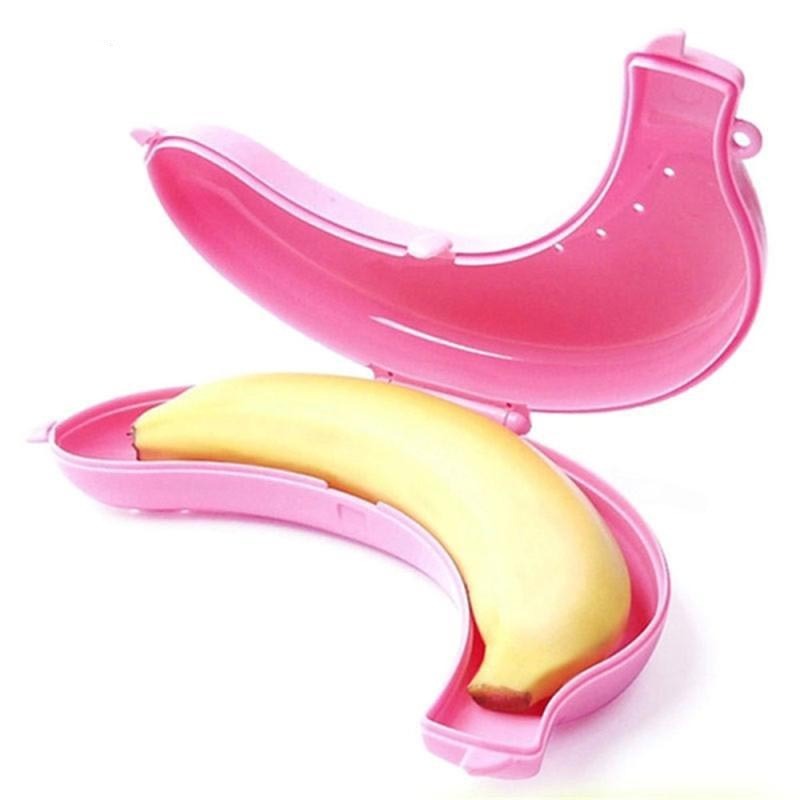 Use a banana saver to transport your banana to work or school with you. 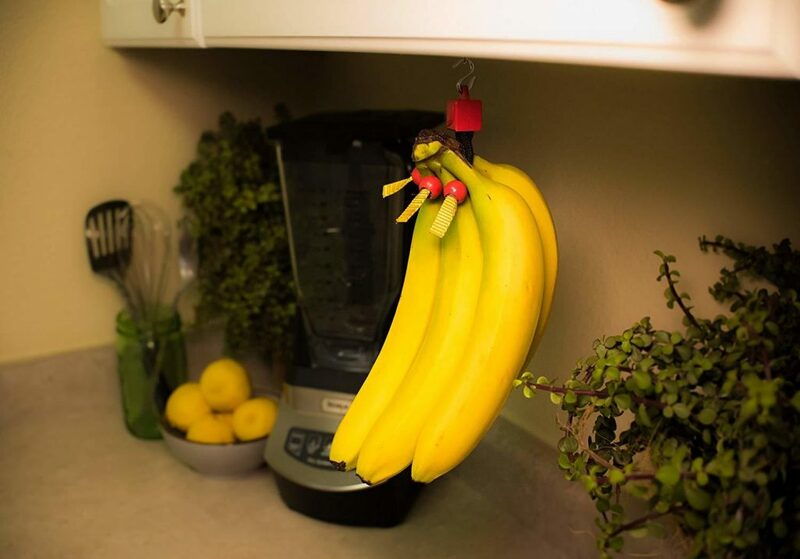 This also helps to keep the banana fresher for longer. 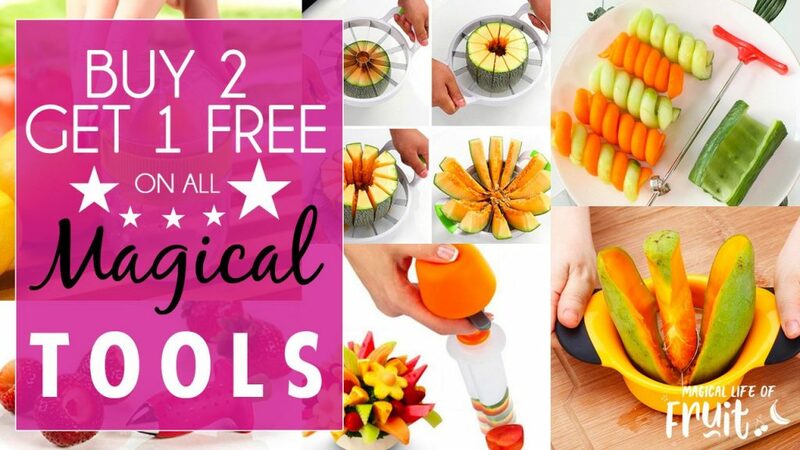 You can get the banana saver free right now in the Magical Life Of Fruit store by buying 2 other fruit tools. 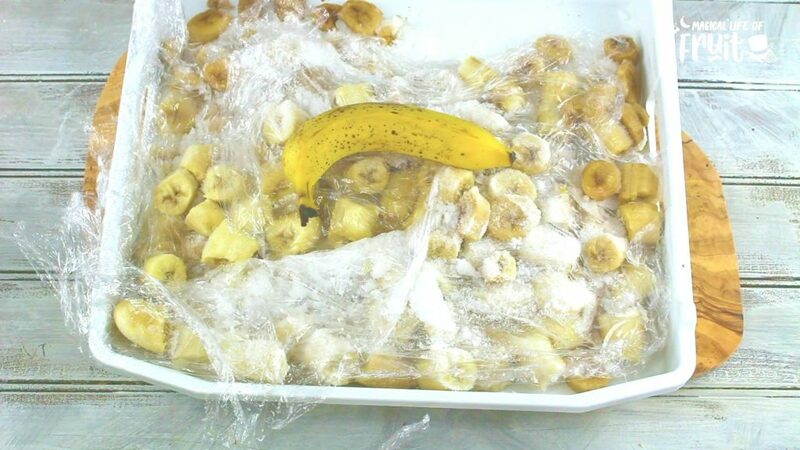 Use a food produce preservation box or bag to keep the banana from going bad. 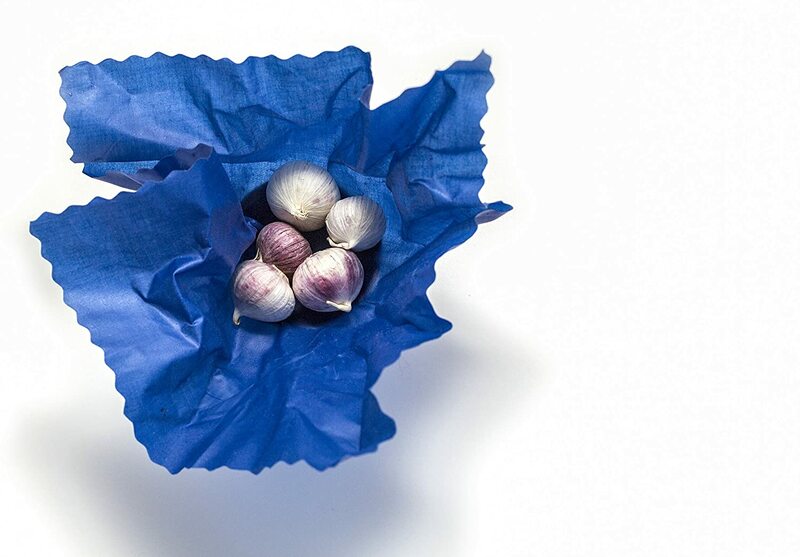 This box or bag can be used out or inside the fridge and can keep produce fresher for a week or two longer. This product is also available as part of the buy 2, get one free offer in the Magical Life Of Fruit store right now. If your banana is perfectly ripe, you can store it in the fridge. 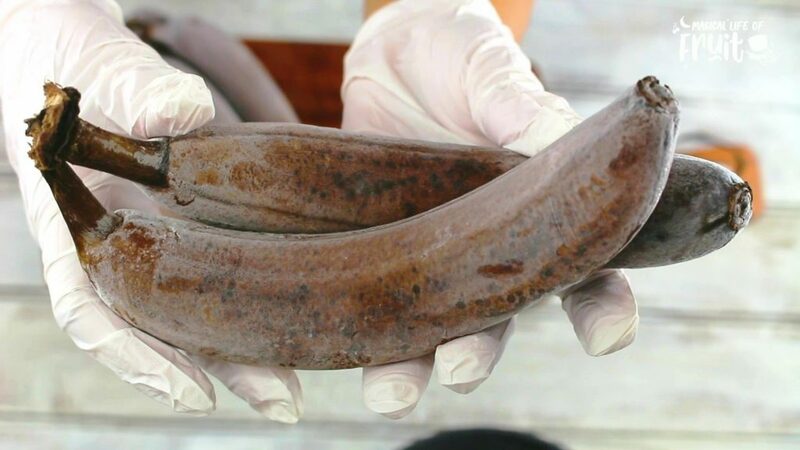 The skin will go black but the inside of the banana will stay fresh for up to two weeks. *Note: Don’t put your banana in the fridge if it’s not yet ripe as it will not turn ripe in the fridge. If you have ripe bananas and want to save them, either put them in the freezer with their skins still on. This is great for when you want to add frozen bananas to smoothies. If you want to make ice cream, peel and freeze banana chunks to make it easier to blend. You can store bananas in the freezer for up to 4 months. 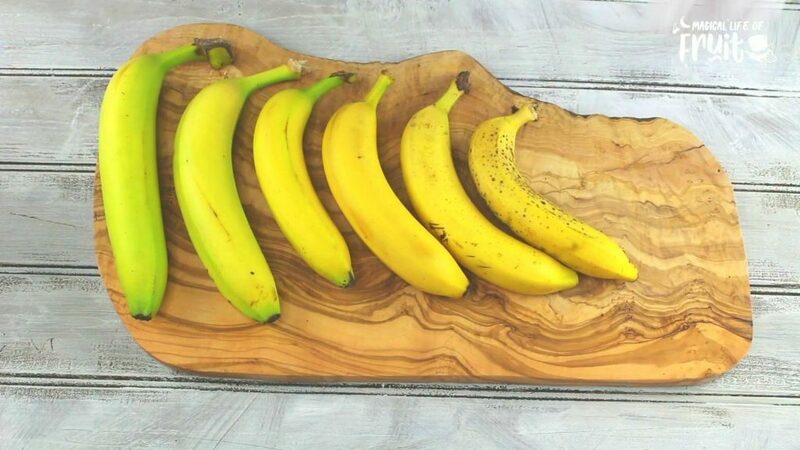 If you enjoyed this article, How To Keep Bananas From Turning Brown please let me know your thoughts in the comments.